The Deputy Chairman, House of Representatives Committee on Petroleum Resources (Downstream), Hon. Danlami Mohammed Kurfi has added his voice with others who are pleased with the leadership style of the National Chairman of the ruling All Progressives Congress (APC), Adams Aliyu Oshiomhole. 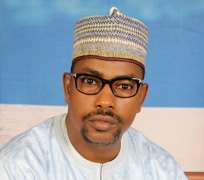 Speaking with some selected journalists on Sunday in Abuja (November 11, 2018), Kurfi who is representing Dutsin-ma/Kurfi Federal Constituency in Katsina State at the National Assembly stated that those who are antagonizing Oshiomhole are the few selfish political leaders within the party who are bent on fielding into elective positions family members, wives, friends, cronies, in-laws and puppets, with flagrant disregard to the negative consequences which it could cause the party during the forthcoming 2019 general election. The fearless Katsina born Federal parliamentarian further stated that Oshiomhole will continue to enjoy the support of President Muhammadu Buhari and other power brokers in the Presidency and party, pointing out that dialogue is still ongoing with those that are still upset over the outcome of the party primaries which was recently concluded. Kurfi asserted: “Gentlemen of the press, following the unfair and unpopular call on the National Chairman of the All Progressive Congress (APC) Adams Oshomhole to resign, I can conveniently tell you today that such gang up against this honest and progressive party National leader will never work, you can quote me anywhere. “Let me tell you in clear terms, some Governors in our political party are really not acting like true progressives, they are the problems we are presently having, especially those from the North. A true leader must not be selfish. You can’t keep bringing paper-weight politicians, those who are green horn in politics, and those who lack electoral values over and above those who are on ground and loved by the grassroots and that have paid their dues through thick and thin in the party, this is purely against the principle of fairness and just which our party is built on. “As one of the stakeholders in APC, I assure all our party faithful across board that hope is not lost yet as the party will come out stronger and deliver President Muhammadu Buhari in the forth coming election. Moreover this is the time we expect our dear President to be more firm and resolute, he should not listen to those who are seeing the party as a platform to do business and make profit at the expense of the majority of our party faithful, our party is not for sale and cannot be hijacked by power drunk and selfish politicians. ‘‘We urge the National Chairman to remain steadfast and focused on the good job he’s doing and known for and we also assure him that nobody no matter how highly placed they think they are can remove him from that office. So far, he has done well and he will continue to enjoy our support and without bias the integrity of his leadership style remains commendable and unique. “I make bold once again to say President Muhammadu Buhari has offered a clean break from the corruption that characterized our country in the past. The APC administration has come as a long awaited saviour to deliver the nation from leadership flaws and administrative indiscretion. President Buhari has broken the grip and jinx of inequality which had closed leadership opportunity against Nigerian youths and women in the previous years. “Therefore, all malicious, disrespectful and derogatory utterances against APC National Chairman propagated by those who ought to hide their faces in shame but rather are not hiding their faces but raising their voices in arrogance to demand for another opportunity and right to return the nation to the era of rampage and wasteful spending without respect for God, humanity and morality. President Buhari and Oshiomhole are truly sent by God and I believe they will both usher in landslide victory for APC in 2019 by the grace of God.” Kurfi said.